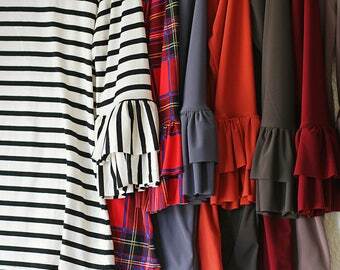 The Heather Ruffled Peplum Top. This listing is for the shirt only. 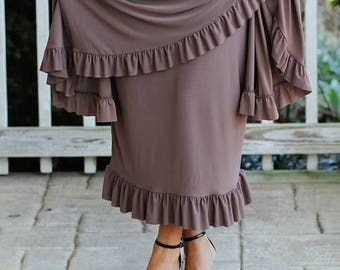 Please check our shop for the skirt. 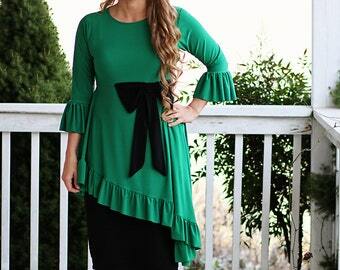 The Heather Ruffled Peplum top is the Ruthie top all dressed up! The perfect black shirt! 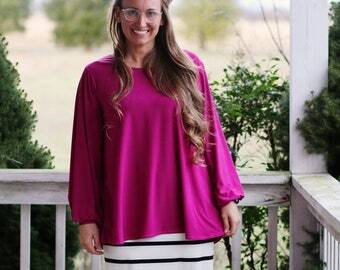 Super comfy, feminine, slimming and I could go on and on! 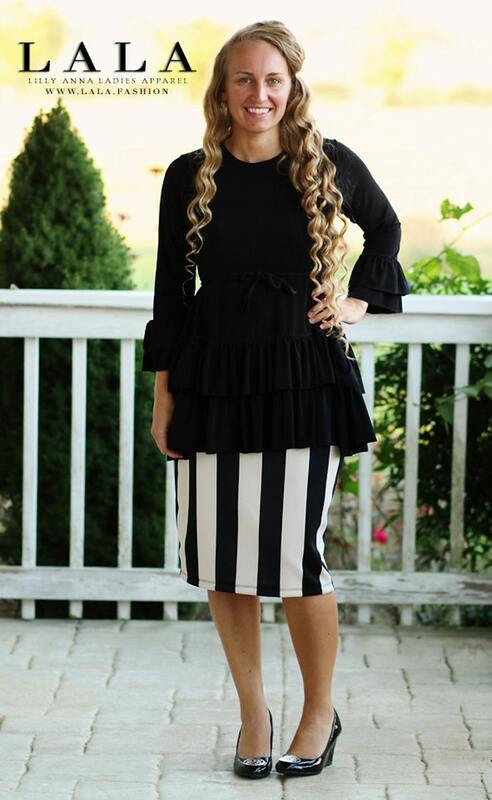 It features a empire waist with a peplum style bottom. Sleeves can be made long or 3/4th. Can be worn belted or unbelted. Belt not included. 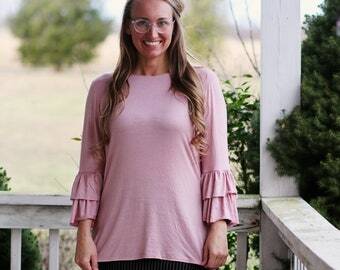 This top is fitted at the top but flowy around the hips. Please check the measurements and order accordingly. All fabric options are knit. All seams are serged. Allow 2-3 weeks for your shirt to be made and delivered. This shirt is available in many color options, just ask!